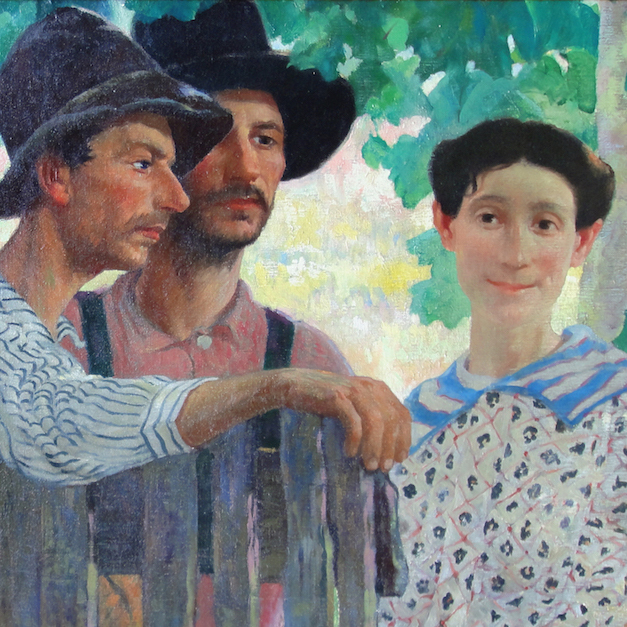 Faces of the Heartland spans the career of James Hopkins (1877-1969) and highlights his innovative paintings depicting the Cumberland mountaineers of Appalachian Kentucky, called the Cumberland Suite, which were created between 1915 and 1919 and brought Hopkins national recognition. These works, depicting subsistence farmers, traveling preachers, and children living in the Kentucky mountains south of Cincinnati, prefigure Regionalist and American Scene painting that emerged later in the twentieth century. Hopkins taught at The Ohio State University from 1923–48, becoming chair of the art department and raising its stature to national prominence. He was a well-known, widely exhibited artist during his lifetime; more than a dozen museums hold his works today. This is the first Hopkins retrospective since 1977.